Motor Coach Industries (MCI) is launching the first-ever "Coach Critical" parts program, which guarantees that parts deemed most essential to coach uptime will be in stock and available to customers experiencing a coach-down situation. MCI guarantees that it will ship the Coach Critical part or a suitable substitute by the next business day, or it will credit 50% of the part price, up to $150, to the customer's account. MCI's Coach Critical list starts with 1,000 parts and will include 1,500 by June 2012. The list, compiled with the input of operators of MCI coaches and in-house technical experts, includes both high- and low-volume parts, including those that are sometimes hard to come by. 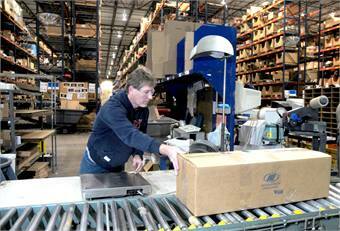 MCI has made an investment of $7 million in parts inventory for its new Coach Critical parts program. MCI has also formed a Coach Down Committee, comprised of parts engineers and technical experts that meet by phone each morning to review any open coach-down customer situations. Related to its Reliability Driven culture, MCI has enhanced its parts procurement process to make dealing with coach-down parts orders simpler, quicker and more systematic, with more accountability, visibility and urgency across the board. The Coach Critical parts list can be obtained through an MCI customer service representative. The program is available to private-sector operators who order over the phone and agree to pay for expedited shipping for their emergency order; Web orders do not qualify.